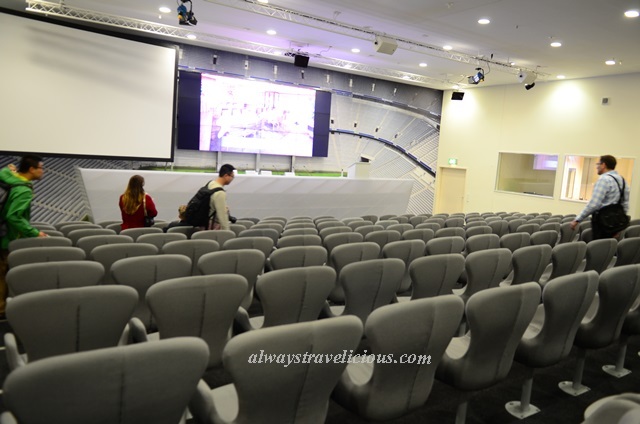 Allianz Arena Tour @ Munich, Germany - Always Travelicious ! 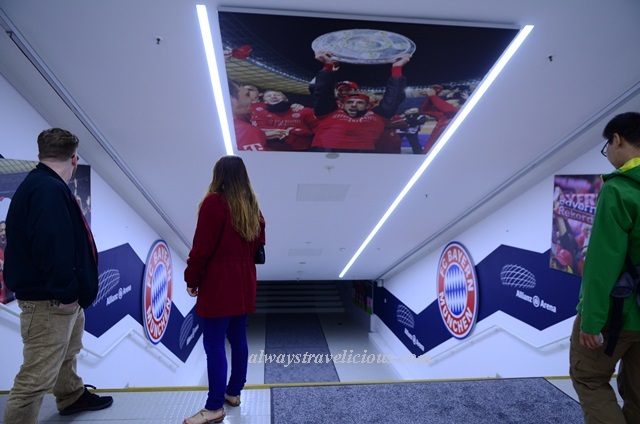 Visiting the Allianz Arena would not have been in my itinerary if it was not for Gary’s suggestion; him being a big fan of Bayern Munich Football Team. There are two ways of visiting the arena, one is by buying a ticket and watch a football match which is almost impossible because every single game is sold old months in advance not to mention that they are pricey, so we were left with the other option of taking the guided Arena tour ( 10 Euros per person). The tickets can be purchased at the counter. On the Arena’s official website, it actually states that there is only one English session per day at 1 pm and a few German sessions but when we were there, there was a lot more than that. There was one English session at 1100 am (and perhaps a later one at around 3 pm?) and a few other languages including Dutch. It would be a good idea to contact them in advance to confirm the languages and time slots available if you would like to plan ahead. The tour is about one hour. Our guide was very knowledgeable and explained to us awesome details about the arena. The arena is almost ten years old now and still very well kept. 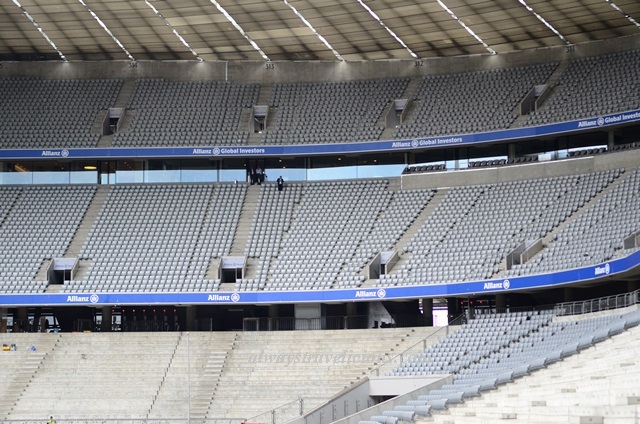 Construction cost was an astronomical amount of 340 million euros (and that was 10 years ago), but Bayern Munich probably makes it back in a few seasons so no biggie for them. The arena’s capacity holds up to 71,137 people if you include spaces available for standing, business boxes and executive seats. It was also here that we tested the acoustic effects of the arena. There were about 20 of us in the guided tour, and the guide told us to shout “Bayern Munich Bayern Munich” (or something of that sort which I forgot by now) to show that our voices were considerably amplified and the echo resonated for a while. Imagine there are 70,000 people in the arena all cheering with the same kind of passion for football – now that would be some true, crazy, football frenzy. The pitch is made of 10 % artificial grass and 90 % real grass for a smoother surface. There are heating panels underneath the soil; I think this picture that I took from the press room depicts that. 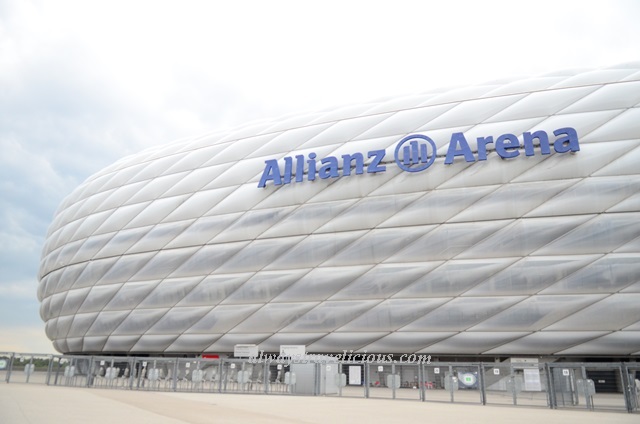 The arena’s facade is made of inflatable ETFE foil (Ethylene Tetrafluoro-ethylene); the structure is quite like a huge plastic balloon really. It may look like a piece of flimsy plastic in my hand but it remained strong throughout the years. The guide explained the birds had their go at it pecking the material with no avail. We then moved onto the press room; where Gary insisted on me taking a picture of Oliver Kahn’s name stand. This is the clinic incase anyone gets injured. Bayern Munich’s changing room was everyone’s favorite, although I can’t say I am as excited as them, because well, it’s changing room. Away Team’s changing room is much plainer. This is the kick room for the players to warm up and practice. 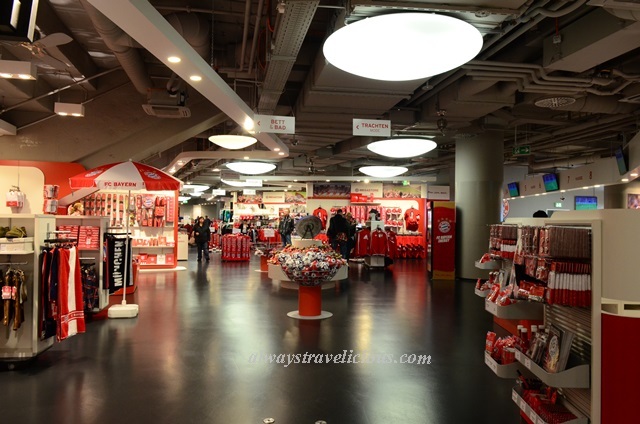 Lastly, the Bayern Munich souvenir shop is all yours to explore. Other than the usual items of T shirts, jackets, caps, etc, you can even get ketchup, gummy bears and monopoly games, all in the name of Bayern Munich! 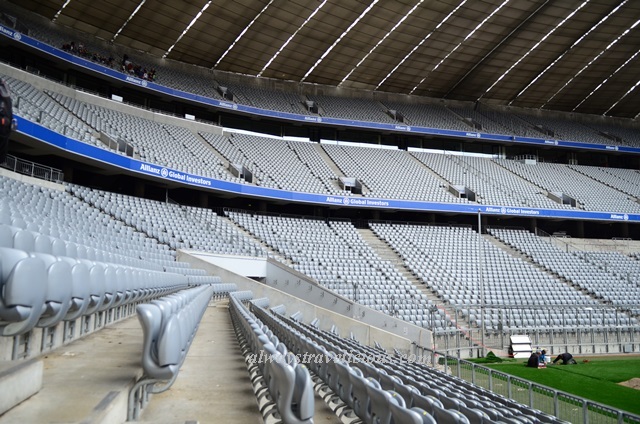 We only had time for the arena tour; you could also combine the tour with a combi ticket (17 euros) which would include both the arena tour and the FC Bayern Erlebniswelt (Club Museum). Getting there : Take the U6 underground line from Marienplatz station (in the direction of Garching-Hochbrück) to Fröttmaning. It is about a 800 m walk from the station to the arena. It’s impressive but I would expect nothing less from the Germans. People don’t laud German precision for nothing. Nice and informative post, KJ. 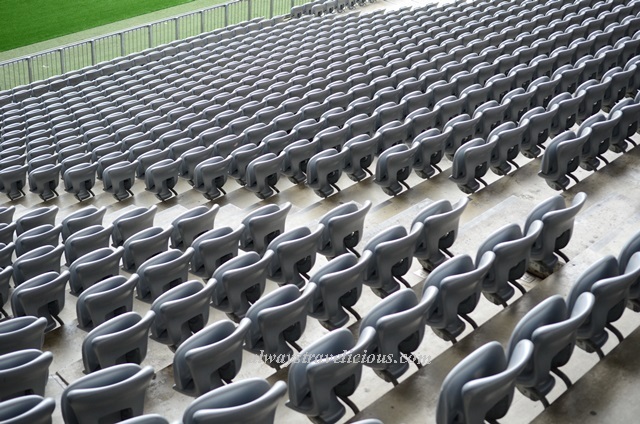 really an amazing structure – I am totally fascinated by it too even though I am not into football !